Track reservations for any date in the future. 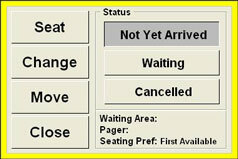 Set your reservation list time interval and the total number of reservations permitted for any point in time. 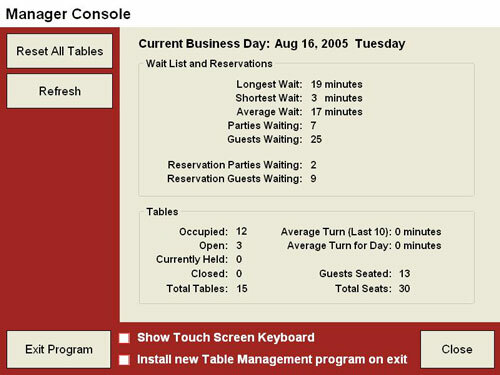 The Manager’s Console gives a one-screen overview of guest seating, wait list and reservation performance. 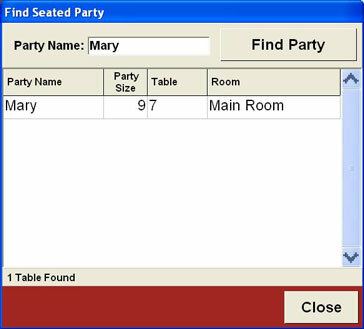 Separate statistics windows are available for the hospitality staff to check statistics for the wait list and dining room without accessing the Manager’s Console. 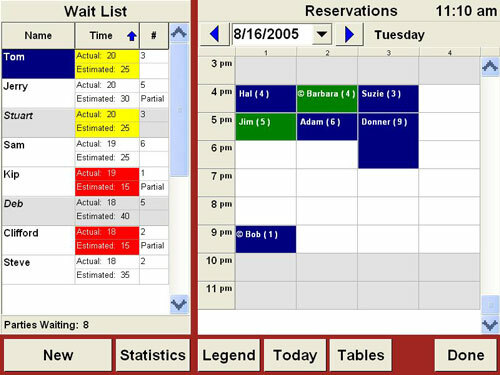 Table and Guest Management is intended for use on a touch screen or with a mouse and keyboard. Touch a guest reservation and this window displays, allowing selection of an action for the guest. 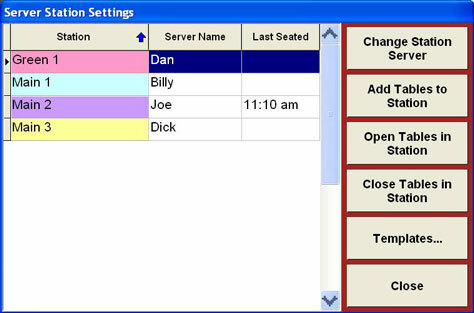 Table and Guest Management allows tables to assigned to a server station. Open and close stations, change the server for a station, and define different station templates for different days or day parts. Find a party wherever they are seated in any dining area. 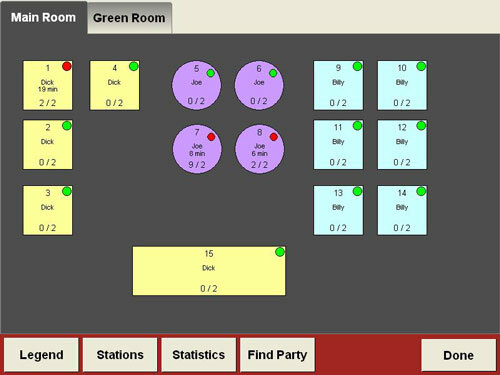 Each table in the table map displays six key points of information. 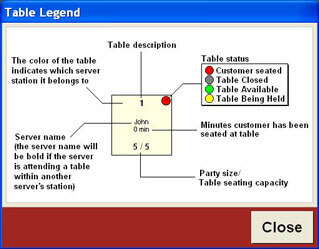 Pop up this Table Legend window at any time to be reminded of the information displayed.